Looking for hours of fun for a larger group of kids? Look no further. 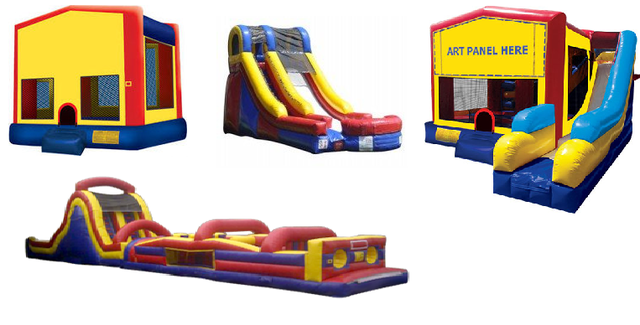 This awesome field day set up has obstacles, slides, a rock wall, bouncing areas and more! Keep dozens of kids entertained with this great package deal!